The Marine gets ready for training at the range. In 1967 three ultra rare marine cards were released with a new illustrated card back. These are nearly impossible to find sealed today, though the accessories are available loose. Super rare Rifle Rack and M-60 cards courtesy of Anthony Gunter. These 1967 cards are virtually impossible to find! 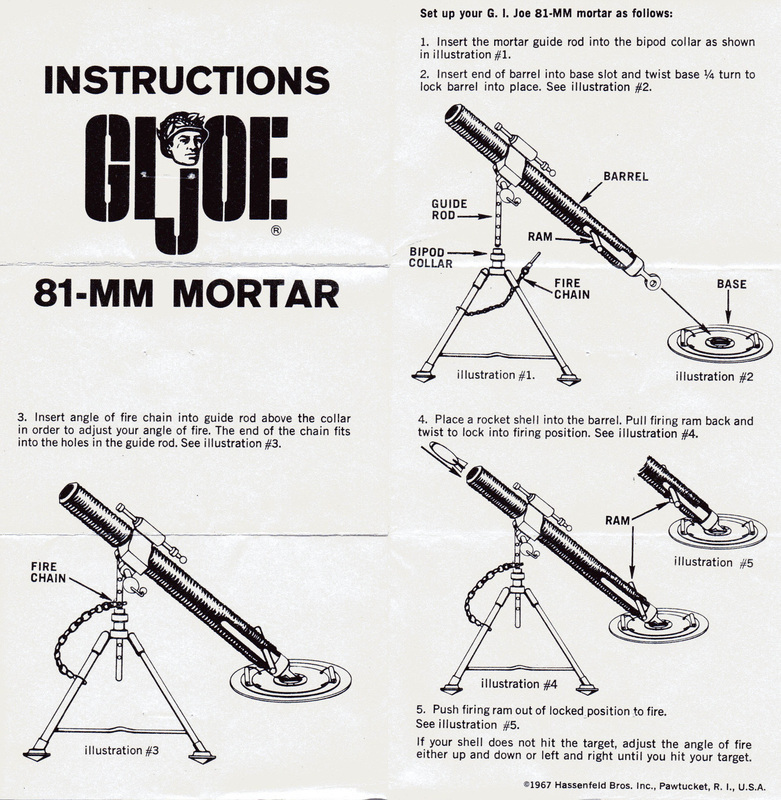 Image of the very rare Mortar card (7725) courtesy of Vectis Auctions Ltd.